Okay, so I’m actually not currently planning a trip of any kind to Disney (for once), but I know a lot of you are or are thinking about it, so this one’s for you. I have gone to a Disney the majority of years between age 14 and now, even if it was part of another trip. So, it’s pretty normal to think I know what I’m doing when it comes to planning a trip, because I’ve almost always got a trip to Disney coming up, whether it’s Disneyland, Walt Disney World, EuroDisney in Paris or my distant thoughts of and of the Disney Asia theme parks. I’m a true Disney lover at heart and just a big kid. As soon as I get to the front gates, I want to run down Main Street with a big smile on my face and get on every ride at once. Since I’m aware it’s impossible and I’ve been there a million times, I walk like a normal person down Main Street and take in all the happy faces of children who might be there for the first time. That’s truly the magic of Disney. 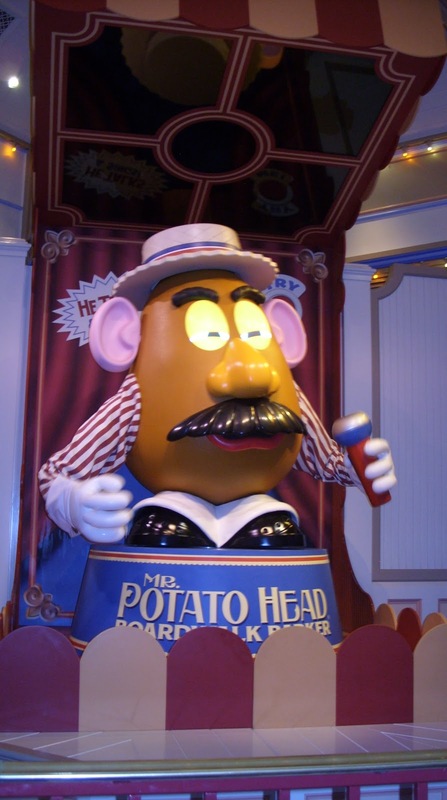 Today, I’d like to talk about getting the most out of your money on your Disneyland adventure, making the most of your time in the parks and share with you some rockin’ deals to both Disneyland and Walt Disney World. Even though I know Disneyland the best, I can’t fault anyone for choosing WDW, with their massive amounts of parks and new variety of rides, shows and parades. Please keep your arms, legs and hands inside the blog at all times. Remain seated until the blog comes to a complete stop. Thank you. Disneyland may not be a huge entity in size, but it makes up for it in awesomeness. With over 50 rides and attractions between Disneyland and California Adventure, there’s no shortage of things to hold your attention for several days at a time. It’s also great that they are within throwing distance of one another and if you feel yourself dying of hunger on that long 100 yard walk between the two, you can veer into Downtown Disney to sit and refresh before journeying on. 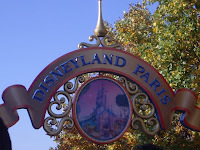 As far as acreage goes, Disneyland Paris (formerly known as EuroDisney) is very similar to Disneyland in California. They have some different rides and different takes on the same rides, like Space Mountain: Mission 2 where you actually go upside down. You get Indiana Jones and the Temple of Peril, which is also converted into a roller coaster (and awesome!) 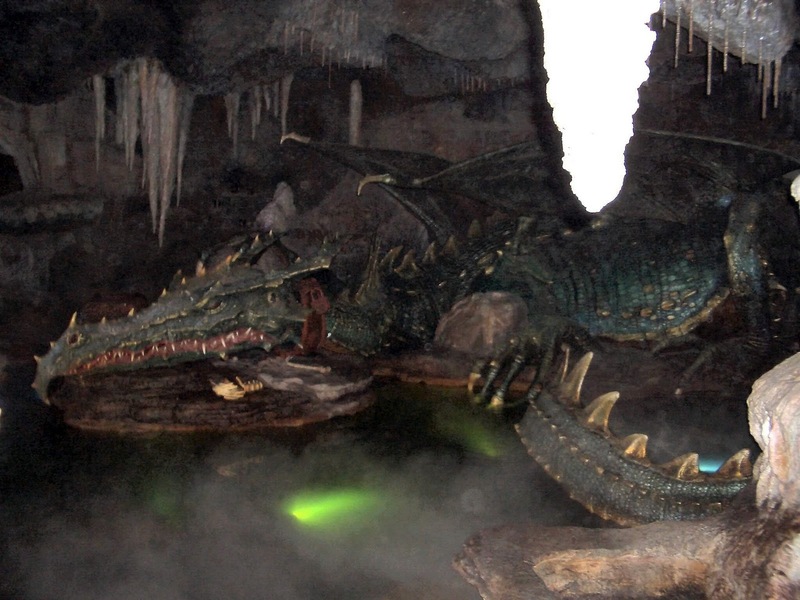 and Sleeping Beauty’s Castle, which is mostly the same, except for the giant animatronic dragon that breathes fire in the dungeon! Instead of California Adventure and Downtown Disney, they have equivalents called Walt Disney Studios Park and Disney Village. Walt Disney Studios is more “Hollywood” themed and is closer to the feel of Hollywood Studios in Orlando. 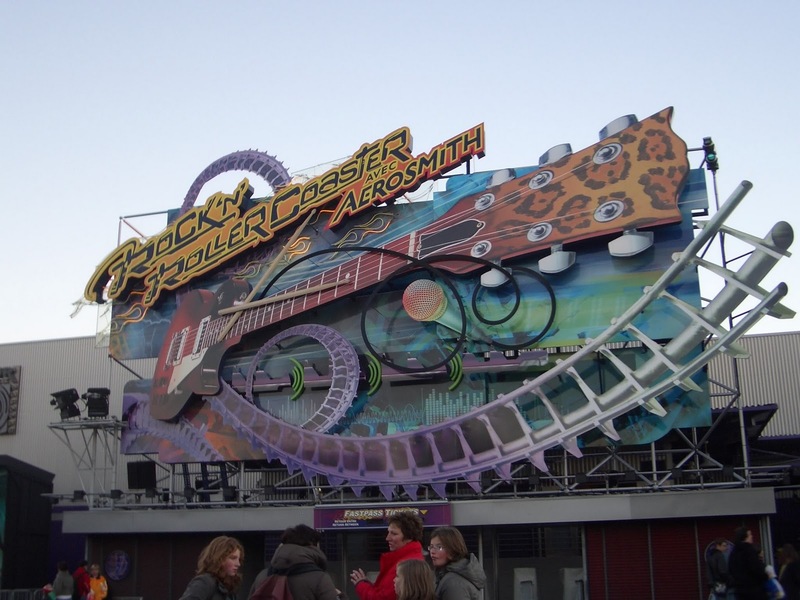 The rides and shows are a mash-up between Hollywood Studios and California Adventure and are enough to keep you entertained for most, if not all, of the day. We weren’t sure if we would get the same experience at Disneyland Paris, but I will say that we were pleasantly surprised. I do wish we had more time, so we plan a return trip in the future, where we will stay at one of the Disney resorts that offers a great package plan and includes shuttle service throughout the day. In fact, the packages they offer are hard to pass up, because in between the hotel locations, free transportation to and from the parks and discount by bundling the hotel and park tickets together, you would be LOSING money if you stayed in Paris and took the Metro in each day, even if you had a rockin’ deal at a hotel in the city. Normally, I’m not one to jump on the Disney hotel package bandwagon, but Disneyland Paris is really the exception. The exchange rate doesn’t impede on the bargain either and, since most resort rooms are equipped with bunk beds, it’s even better if you go as a family. Now, if only Disney properties in the States could figure out how to make their rates work to our advantage…It probably helps that Disneyland Paris is located in a town in the French countryside, a 30 minute train ride outside of Paris, called Marne-Le-Vallee. Walt Disney World is a city unto itself. It claims to reside in Orlando, but in reality, Walt bought a plot of land so large that all of the resorts and theme parks belong to a “city” called Lake Buena Vista. It is virtually impossible to get around between the different parks and any non-Disney-owned hotels without a car here. I wish it wasn’t true, but I’ve now done Orlando both with a car and without and without was a right nightmare. While there are free shuttles to the parks from each outlying hotel, they aren’t hotel operated and they only travel from each hotel once (or maybe) twice a day and come back the same amount. Once you get to the parks, you can use Disney transportation to go in between the parks and it is very easy. Now, I don’t know if the shuttles operate more frequently in the on-season (namely: Summer), but any other time, when it is cheaper to travel and less crowded, you are stuck to the schedule of each shuttle…and don’t get me started on the city bus trying to go anywhere off the main street. If you plan to leave before each park opens each morning and spend the entire day there and then leave right after closing, then the shuttles will work for you. If you have something else planned, or are planning on visiting any of the Orlando theme parks that aren’t Disney, get a rental car. It will also end up saving you money over the cab/shuttle fee to and from the airport in the end. So, how else can you save besides getting a rental car and buying a Paris package? · Purchase a park-hopper ticket. These can save you money over buying individual day tickets and you can use the same one over the course of your visit. They just scan your fingerprint now, instead of the old school way they did it before where you needed to sign the back of the ticket and present ID each day. Much quicker. You still need your ticket for them to swipe and also to be able to use the FastPASS machines. · Save time by buying your tickets ahead of time. Don’t waste time in the ticket queue, when you can go straight to the gate queue! Like you really want to wait in one more line anyway. You can save money by buying your tickets online at various locations. Search online for promo codes, too. 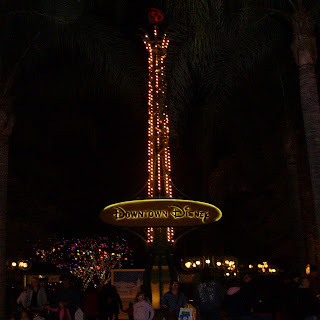 I prefer to buy my tickets through the local AAA travel store, because I find they have the best deals, but you can also get Disneyland park hopper tickets through Costco and many credit unions sell discounted ones as well. · Use FastPASS. This can also save you much time and get you on more rides. We generally get one for Big Thunder Railroad, Splash Mountain, Space Mountain, Indiana Jones, Rock’n Roller Coaster, Midway Mania or Buzz Lightyear. These are the big rides that always have a line. Go first thing when you enter the park and get a FastPASS, even if there isn’t a line, for any of these attractions (I recommend Midway Mania or Space Mountain, because the FastPASSes go quickly). If there isn’t a line, get on the ride, go do some other rides and then come back at your designated FastPASS time and do it again. If there IS a long line, go off and do some less packed stuff and then come back. This works awesome with rides like Big Thunder Railroad in the middle of the day, because even though the line isn’t humungous, there are a bunch of other rides to do that normally have shorter lines, and you can get to three other ones, come back and get right onto BTR and then head to another part of the park. · Get to the parks thirty minutes before opening. What’s the point? Well, there won’t be hoards of people waiting to get in yet and you’ll get first pick of the big rides when the gates open, freeing you up to do less popular rides in the middle of the day. · Make food reservations. While this won’t save you any money, it WILL save you time waiting in line somewhere. Disney has a designated dining reservation number for each park (or you can do it online) to book a table anywhere that has waited tables. You can book up to 90 days in advance. This is especially important if you are dying to eat a specific restaurant, because reserved tables get served before walk-ins, which means if you want to eat at Blue Bayou without waiting 45-50 minutes (when you could be doing other park activities), it’s best to make a reservation ahead of time. Try to book your dining a little earlier than regular dining times, like lunch between 11-12 and dinner between 5-6. This will help you avoid the crowds, both while waiting to be seated and when you finish dining, because everyone will have realized they are hungry, too, and flee to a dining establishment. Woohoo! Shorter lines for you! · Carry snacks. You know I always recommend bringing snacks everywhere you go. Disney doesn’t mind. As long as whatever you bring isn’t in a glass container or alcohol, it’s okay by them. Bring in your own bottled water, too, and save $9 by not having to buy their souvenir cups. · Use public transportation. Obviously, I mean for Disneyland only. Their shuttle busses are great and are much cheaper than the $12-14 it now costs to park in the Disney parking lot. Unless you have four or more people in your group, save the cash and gas. The shuttles leave every 15 minutes throughout the day until at least an hour before the park closes. There’s also the option of just walking, since there are so many hotels right across the street from the parks and main gate. · Avoid “Extra Magic Hour”. In Orlando, guests staying at a Disney resort are entitled to the EMH each day at different designated parks. They get in an hour before the park officially opens to the public or get to stay and extra hour after the park closes to the public. With a bit of planning, you can avoid these days and go to other parks instead and avoid the massive crowds at the EMH parks. This worked wonderful for us and we found that each park we hit up that day was almost empty until around noon time. I don’t know how that will work in the on-peak season, but in the fall, it was spectacular and we barely waited in line for anything for the first four hours we were in each park. You can find the EMH parks listed on the online Disney schedules or invest in a membership to TourGuideMike, which will give you all these tips and more well ahead of the actual online schedule. · Go in the middle of the week. There will be fewer parades and you'll have to schedule your day around things like Fantasmic, that only play on certain weekday nights, but Disney will certainly be less crowded during the week than on the weekends and you'll have shorter lines and be able to do more. · Bring your own souvenirs. Yes, I know this sounds weird, but if you have little ones, they are going to want toys and shirts and balloons and candy. You can try to evade some of these costs by stopping at one of the grocery or discount stores around Disney and stock up on some inexpensive souvenirs (many of which you will find at the parks for much more) and dole out a bit each day before you leave. Or keep them in your bag until the kids are getting restless and cranky. You're sure to make some happy faces. Please exit the blog to your right and watch your step. Thank you for choosing Shereen Travels Cheap and have a magical day. Stay in an Orlando resort and get a free room upgrade on BookIt. Add a 3-day park-hopper per traveler and get upgraded to 7-day park hoppers. Valid on Spring and early Summer travel. Add airfare and save even more! 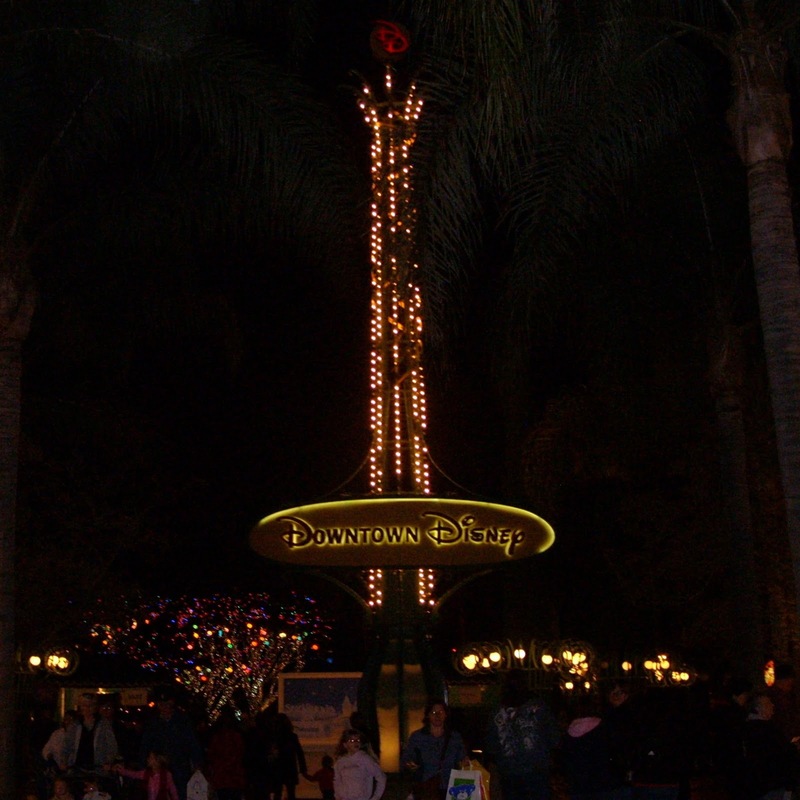 Find a great deal on an Anaheim hotel near Disneyland and get free parking, big discounts or kids stay/eat free. You can also get 3-day park tickets for the price of 2 with participating hotel reservations. Once you make it to Disney, you're going to want something to capture all those magical moments with Goofy and Mickey. For that, you're going to need a great camera. My favorite, and the one I own and use currently, is the Fuji Finepix XP10. It takes awesome pictures, has a 5x optical zoom, comes in funky colors, is super easy to use, it's compact with a large screen and it's even waterproof for when you MUST take pictures of your group getting drenched on Grizzly River Run. I love this camera and take it everywhere with me. I have the lime green, but it also comes in black, pink, blue and silver. You never have to guess at your setting choice, because when you change it in the menu, you can read the function of each setting right on the screen and, believe me, you really can't go wrong. Whether you're shooting in snow, a sporting event or taking nighttime shots of Cinderella's castle, your pictures will always turn out great. Ebates is giving away a 7-day trip to an all-inclusive Club Med resort. Join me in submitting one of your travel stories by March 7th and you might win a trip for 2! Open to Ebates members only, so if you haven't signed up yet, do it now for FREE. Use Ebates links to get cashback on all your purchases at your favorite online merchants, including many travel merchants like Hotwire, Avis and American Airlines. Do you have travel questions or want to join other bloggers and readers in a community setting? Join me and others over at the Frugal Living Community on Blog Frog, provided by Ebates. You can ask me and the other community leaders (or any other member) ask questions directly about frugal travel, couponing, discount fashions and more! Contribute to Frugal Living discussions, including my latest discussion about your favorite "budget" travel destinations. Mine is Ecuador. What's yours?